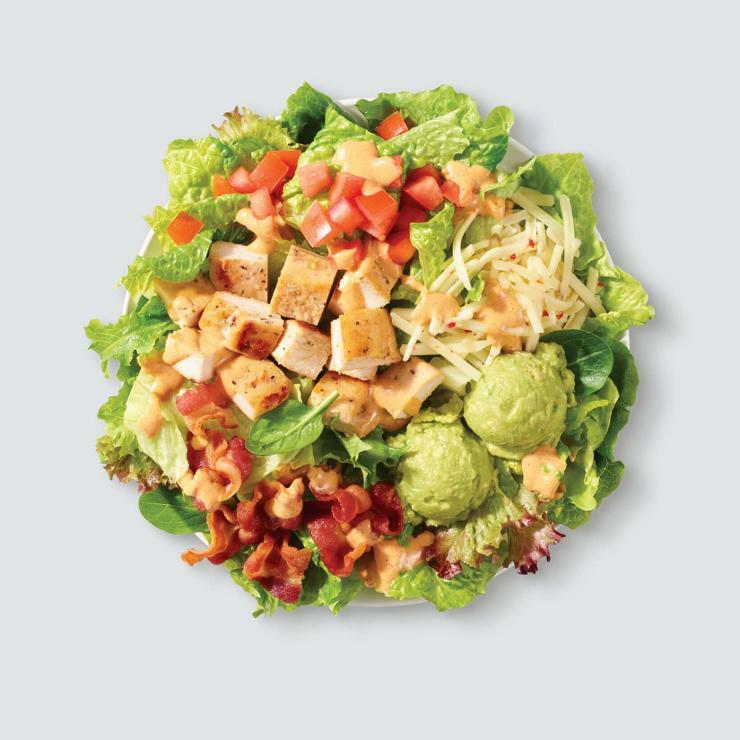 Made fresh daily with Wendy’s signature lettuce blend, pepper jack cheese, diced tomatoes, cool, creamy avocado, Applewood smoked bacon, and grilled chicken breast hot off the grill, all topped with Marzetti® Simply Dressed® Southwest Ranch Dressing. It’s zesty and Southwesty! Nutrition and allergen information is inclusive of all ingredients in this salad including two packets of dressing on the full-size salad and one packet on the half, which come on the side.